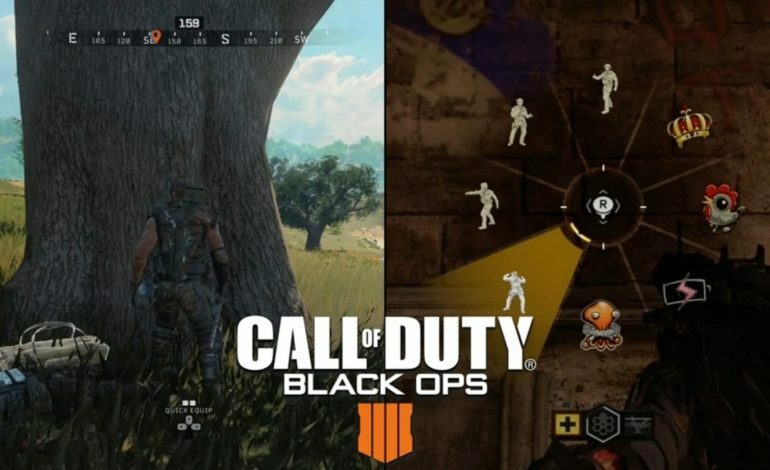 The gestures system in the Call of Duty: Black Ops 4 beta has become a serious bug in the current game that can be used for “cheating”: in this first-person perspective, players can use certain Gestures to get wider vision and observe the surrounding enemy, especially in the game’s PUBG mode. Players can take advantage from this and make the game unfair. Specifically, if you use a third person gesture, the lens will be pulled back from the first person to the third person perspective, allowing you to freely turn the angle. This means that players can hide in the corner and use this gesture to view the surrounding situation safely. This technique is unfair in thePUBG mode, as you can safely observe the enemy without any risk. A player has reported this issue on Reddit with the following demo recorded. The player in first-person point of view uses the gesture of the “Sitting Bull,” crouching behind the bunker to see the surrounding area. In the demo, we can see that after the player uses the “Sitting Bull” gesture, the game’s perspective becomes a third-person perspective with a much larger view, and the player can use this to watch for surrounding enemies. This obviously gives players who are hiding in the bunker more advantage, which is a bug that affects the balance of the game. Treyarch responded on Reddit that they have zero tolerance of this bug, and will fix this bug as a top priority. In addition, Treyarch also stated that they will fix errors in audio, add armor damage indicators, and optimize scoreboards, etc. in future updates after carefully considering the feedback from players and collecting information during the beta test. They strive to streamline the game so more players can enjoy the full experience of Call of Duty: Black Ops 4. Call of Duty Black Ops 4 launched on October 12 for the PS4, Xbox One, and PC platforms.